Two future Deputies and George Brennan E-69 (now Lt. E-53) after a job in Harlem. 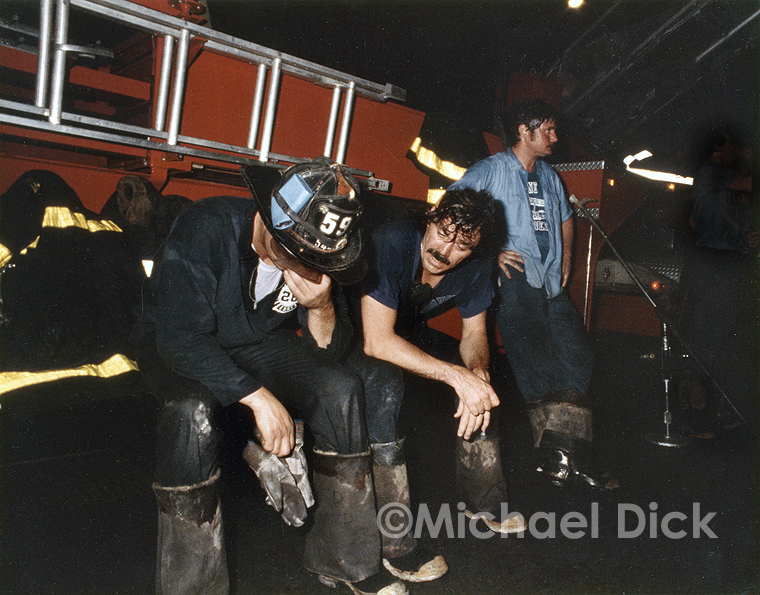 On the left is Michael McPartland, then firefighter E-59 and currently Deputy Chief McPartland. In the center is Tom Neary, then Lt. L-28, now ret. Deputy Chief Neary.